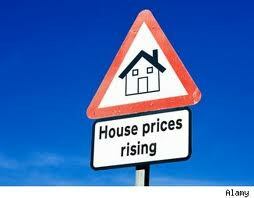 According to a recent report by FNC, the news continues to improve for the housing market. FNC’s Residential Price Index (RPI) confirms both the continuation of the better than year-long housing price gains and that the price performance is beginning to moderate. FNC’s RPI is the mortgage industry’s first price index built on a comprehensive database that blends public records of residential sales prices with real-time appraisals of property and neighborhood attributes. As a gauge of underlying home values, the RPI excludes sales of foreclosed homes, which are frequently sold with large price discounts, reflecting poor property conditions. The RPI shows both a substantial increase in home prices during the third quarter of 2013, but also a broadening of the housing recovery across the USA. The RPI actually increased 2.5% between the second and third quarters, which makes this quarter’s growth the fastest in the current recovery. The report stated that rising home sales, combined with a relatively low share of foreclosure re-sales are the main drivers of the continued increases in home prices. Foreclosure sales nationwide accounted for 13.4% of the total home sales, down from 16.6% a year ago. Home prices are expected to grow at a more moderate pace in the coming months as the housing demand tapers off in the typical winter slowdown. Home prices rose in 27 of the metropolitan cities tracked in the 30-MSA index from August to September with a number of markets posting growth of about 20%. And, 50 of the 100 MSAs have now shown double digit price growth since early 2012, with some of the best numbers coming from markets classified as “high distress” areas. In addition, the 100-MSA composite showed an 11.0% price recovery nationwide. Finally, the report showed that on a year-over-year basis, home prices were up a 6.2% from a year ago, or 5.7% if measured quarterly. With 2014 right around the corner, it definitely looks like the housing industry is slowly but surely heading in the right direction. If you have any questions regarding anything in the mortgage industry, please feel free to give me a call and we can discuss whatever is on your mind.